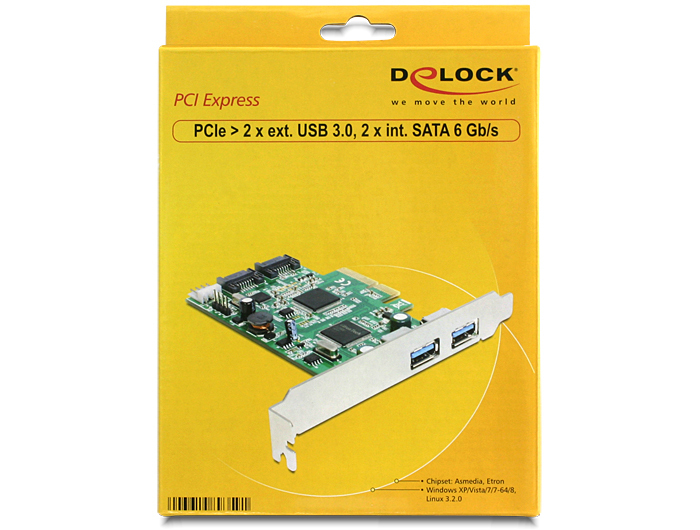 This PCI Express card by Delock expands the PC by two external USB 3.0 ports as well as two internal SATA ports. Different devices such as SSDs, hard drives, DVD-drives etc. 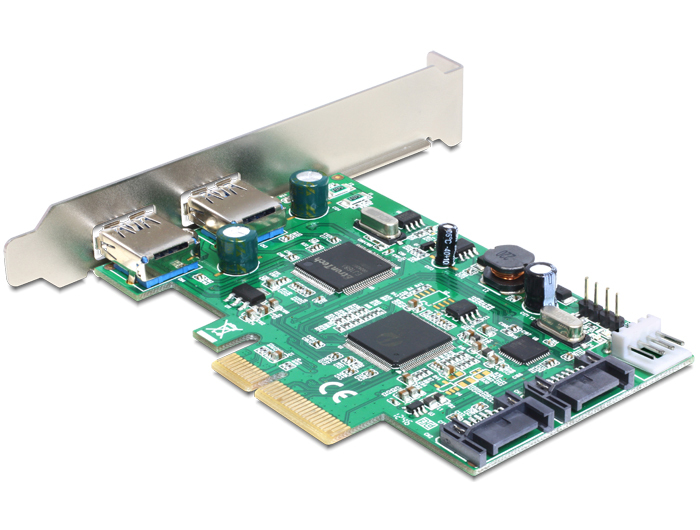 can be connected to the card. Which drivers do I need under Windows 10? 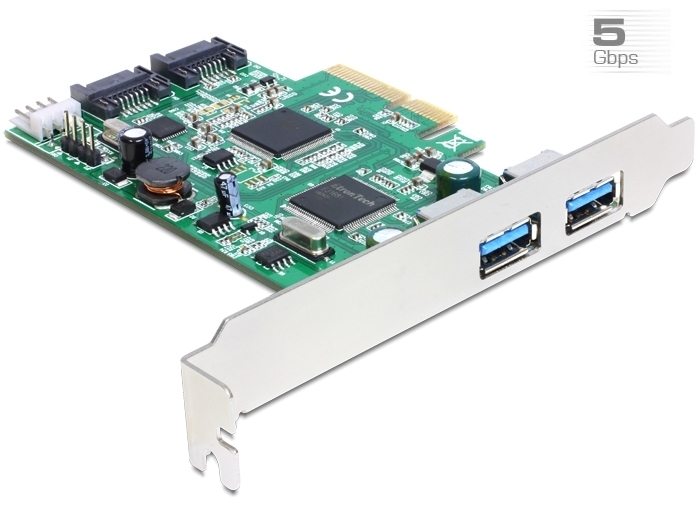 Please note, that the drivers for the SATA controller and its connectors are only available as default drivers (as of Windows 8). For the support on your system will need an active AHCI mode on the BIOS. The driver software for the USB 3.0 controller and its ports is included as a default driver in Windows 10. No additional driver software is required. Please note that the driver software on our CD is not compatible with Windows 10.